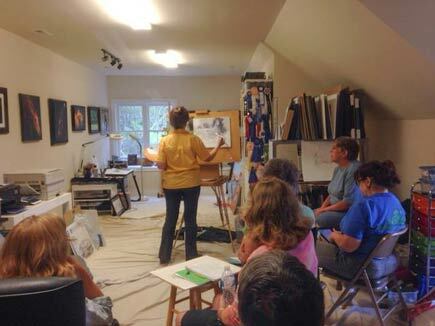 26 September, several VEAA members brought a chair, lunch and paint supplies which included house painting size brushes, left over interior/exterior paint, and any paint the artist wanted to work with, minimum size was 30x40! We had a blast! We are happy to have returned once again as vendors at the Virginia Dressage Association, Fredericksburg Chapter Recognized Dressage Shows 12 & 13 September at Rosemount Farm in Spotsylvania, VA. We are always well taken care of by the staff and in addition to meeting the wonderful people, we get fabulous photo opportunities of the competitors and all of the show “scenes”! Robyn Ryan and Willa Frayser represented us this year! 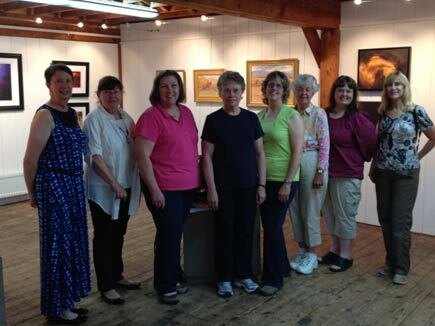 We had a fabulous group exhibit in a wonderful venue! 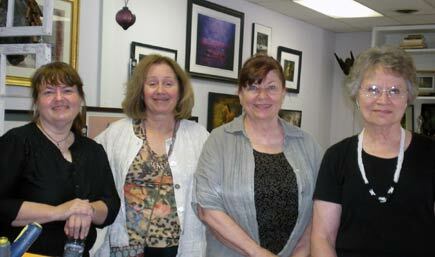 River District Arts, in Sperryville, VA hosted our Group Exhibit “ “ from 21 June - 10 August. 12 member artists participated. 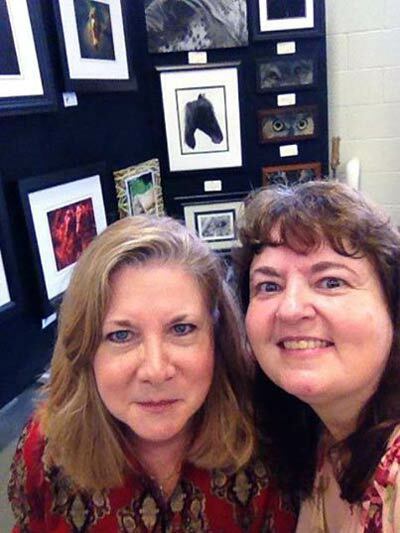 May 31st was the opening of our annual juried Spring show running for two weeks in Midlothian. A judge awards ribbons in 5 categories: Painting, Photography, Water Media, Sculpture and Drawing. A best in show ribbon is awarded too. Participants included: Jillian Chilson, Wilma Bradner, Renae Major, Donna Doyle, Debby Thomas, Eleszabeth McNeel, Suzanne Thiele-Thorton, and Willa Frazier. 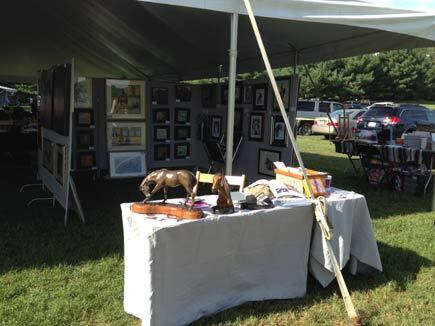 The Secretariat Celebration was held at The Meadow Event Park in Doswell, VA on 29 March. 2014 Annual Meeting & Tours! The 2014 VEAA Annual Meeting was held on Saturday, March 8 at the VA Tech Middleburg Agricultural Research and Extension (MARE) Center in Middleburg VA. 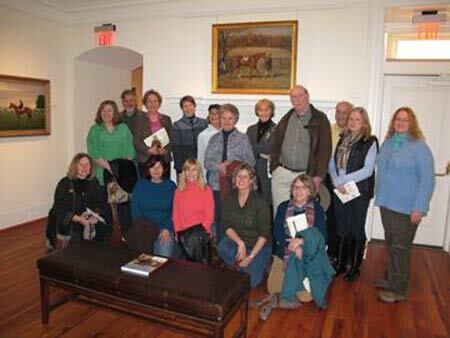 In addition to the meeting itself, attending members enjoyed a wonderful lunch, a slideshow of entries to the VEAA show at Montpelier, and a Share-fest of unused art supplies, books and frames. Attendees also enjoyed two fabulous tours: 1) a tour of our host's facility the MARE Center, and 2) a tour of the Sporting Museum in Middleburg! 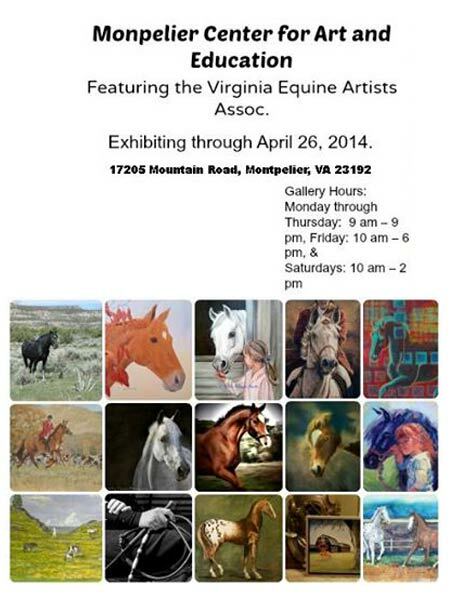 The VEAA held a group exhibit celebrating the “Year of the Horse” at the wonderful venue of the Montpelier Center for Arts and Education during the month of April 2014. 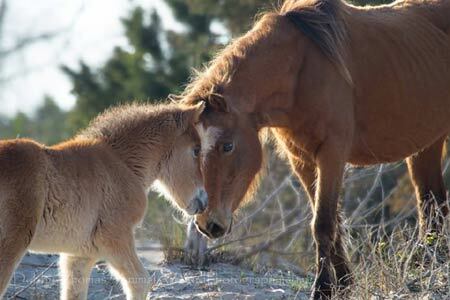 Several members participated in a 2 and ½ day guided tour April 8 – 10 of the outer banks specifically focused on watching and photographing the wild ponies! Some amazing photography resulted! 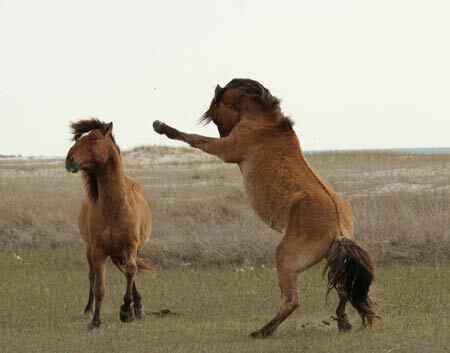 Bob Decker was the guide and knew exactly where to find the ponies! 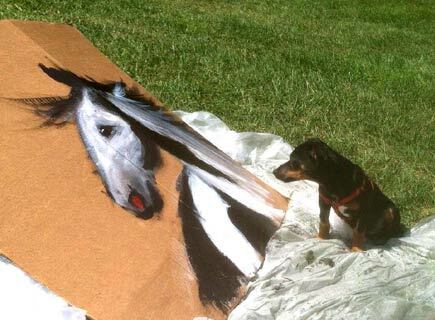 Visit his website carolinafootprints.com to see his photographic work. VEAA members had a great time as vendors at the Secretariat’s Birthday celebration at The Meadow Event Park in Doswell, VA on 29 March.